This A.M. I awoke at 7 A.M. -- mice to sleep in! After breakfast & getting dressed I made a coffee cake & choc. cookies. 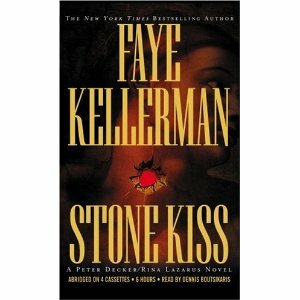 Once everything was cleaned up, I returned to reading Stone Kiss by Faye Kellerman. 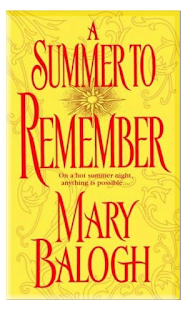 A different book for me to read but once I got into it I really enjoyed it. A Jewish setting in N.Y.C. Murder, etc. Have another by her to read. Moon Music. Stopped at the library on Fri. to get books to read over the weekend. 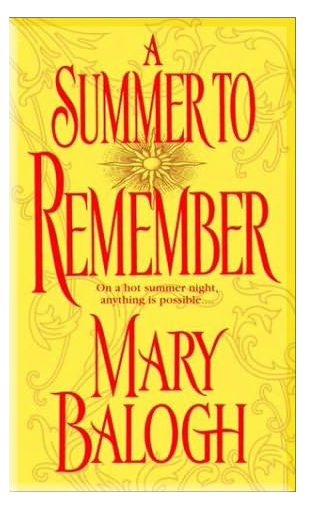 Another new author A Summer to Remember by Mary Balogh. This is a Victorian novel I enjoy reading. Easier reading. We're having hamburgers tonite & I have steaks for Sun. or Mon. Dale has been working on his Monte Carlo. The cylinder heads on the vales needed to be fixed & someone in Youngsville did that & now he's putting them back -- stuff I don't understand, but it keeps him busy.l The drain in the bathroom sink upstairs was clogged so he fixed that first this A.M.
We enjoyed watching Aniika Sorestam play golf & were disappointed she didn't make the cut. Barb has flower pots by the back door & when it rained the pots got dirty. The pots are on square red tiles. She wanted to put red limestone pellets down to protect the pots. Lar said she'd have to take the dirt out which she did. Put the squares back & then the pellets. It really looks nice. She has a pot, then a figure -- angel, rabbit & one she got in Jamestown -- an animal (a raccoon) holding a red apple. It is so cute. She put white pellets by the whiskey barrel by the front steps. 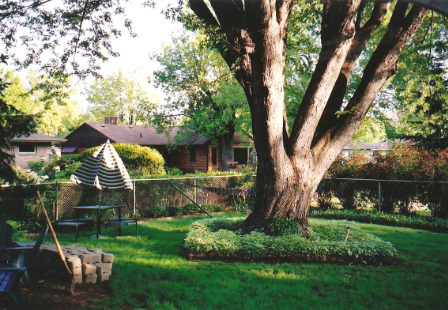 The side yard looks so nice. She just left to go to Big Joe's to get veggie plants. Last Thurs. 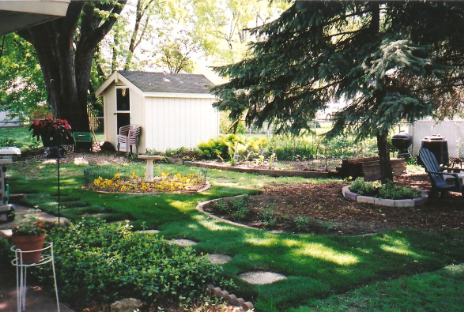 Lar bro't over his garden tiller & she tilled the garden & raked it so it is ready for planting. I got a new Light and Tasty cookbook & it is interesting. Put out by Taste of Home Greendale, Wi. I took the pictures of Boxer & Jack to show Sheila as she is a cat lover. She has 2 cats & a dog. She & Marilyn, another hairdresser, said they are nice looking cats. Bert is back in Warren & she likes the work Barb did on the floors. 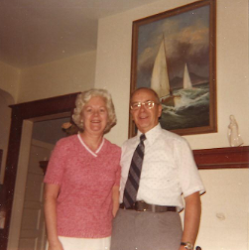 Fri. Barb said she didn't do much work -- just listened to Bert talk & heard what Bert did in N.Y.C. Labor Day [sic] & it's a beautiful so far (1:10 pm thankfully the weatherman is wrong -- so far. I had 2 overripe bananas so I made banana bread this A.M. Also choc. chip & molasses cookies. Froze the bread & half of the cookies. Then 2 loads of wash. Dale has painted parts of the motor of the Monte Carlo. Barb watched tennis & is now riding her bike. She rides 20 mi. now & has reached the 400 mi. mark 1000 mi. is her goal this summer. I'm not making any promises this early to say I'll be at Andy's graduation. 3 years is a long time to make any promises. The 2nd Faye Kellerman takes place in Las Vegas & doesn't appeal to me so I'll return it unread. Mets aren't on today so I'm watching Braves vs. Cincy. The Yankees play Boston at home. & Roger Clemens hopes to get his 300 win but I'm not interested in him or the Yankees. I'm a N.L. fan. I started out rooting for the Brooklyn Dodgers & kept with the N.L. This A.M. we went grocery shopping by 9 A.M. When we got back & after all was put away, I cleaned the bathroom & dusted my room. Saw Dr. Vance at 1:30 & my back is much better. I'm going 1 more time on Fri. aft. Made spag & meatballs for supper. I enjoyed it. This is Dale's late nite so he hasn't eaten yet. Tomorrow I have to wash the kitchen floor & have some ironing to do. I can watch TV while I iron. And the fridge needs cleaning so I need to get that done. Maybe next week. Wed. I was ambitious this A.M. Did my ironing, washed the floor AND cleaned the fridge. Now I'm watching my favorite "soap" & taking it easy. But I don't know what I'm having for supper. Guess I can't be that efficient! 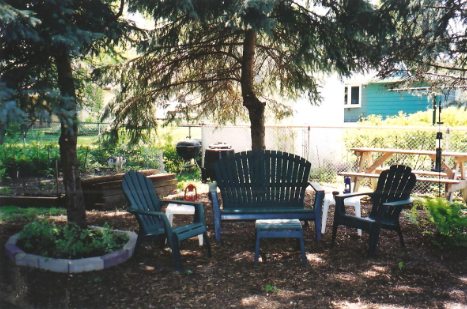 This A.M., when I was getting the garbage out, Mr. Carey asked me if I wanted a fern plant. I took it but said I don't seem to be able to keep live flowers alive for long. It is on the front porch now -- we'll see next fall if i can save it in the house. The kitchen is all cleaned up so I'll finish my letter as I watch the Mets at Philly. And in the top of the 5th inning the Mets lead 2-0, but there are still 4 1/2 innings to go. June is just about here so I walked to the bank after lunch & also picked up stamps & mailed a note to Gen. It's been a lovely day & Fri. should be. Rain for Sat. & Sun. And the furnace keeps coming on in the A.M.
Did you notice Don Zimmer of the Yankees spoke out against "George". He feels if George can speak out against the team's efforts, he can answer back. Good for "Zim". Tonite we talked bout going out for Lar & Kim's birthdays & anniversary. Maybe a let aft. Sun & we'll go to Nickel Inn. We like to go there at least once during the summer.